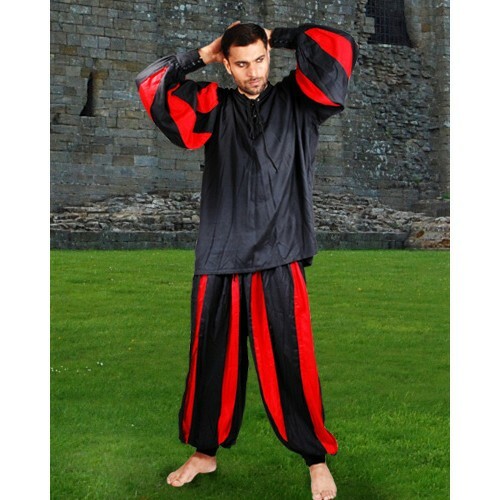 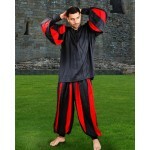 European Medieval Pants is made from high-quality Rayon fabric. 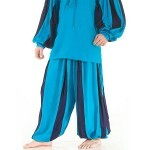 Buttoned ankle cuffs & elasticated waist provides easy & comfortable wearing. 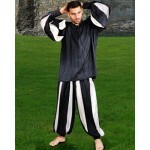 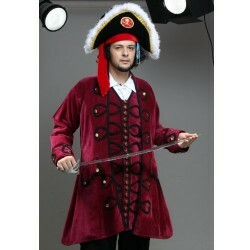 The striped design & style would remind you of the 'Landsknecht' period costumes. 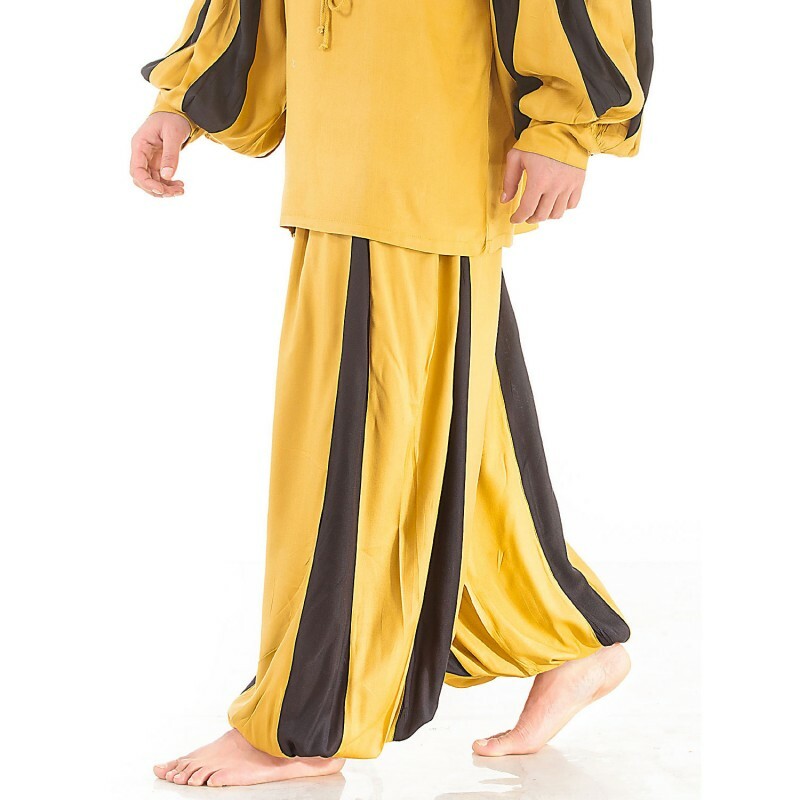 A 100% Cotton chemise with bell shaped sleeves & drawstring at the neck. 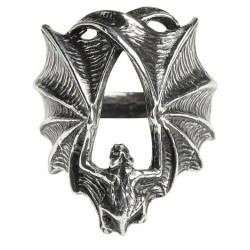 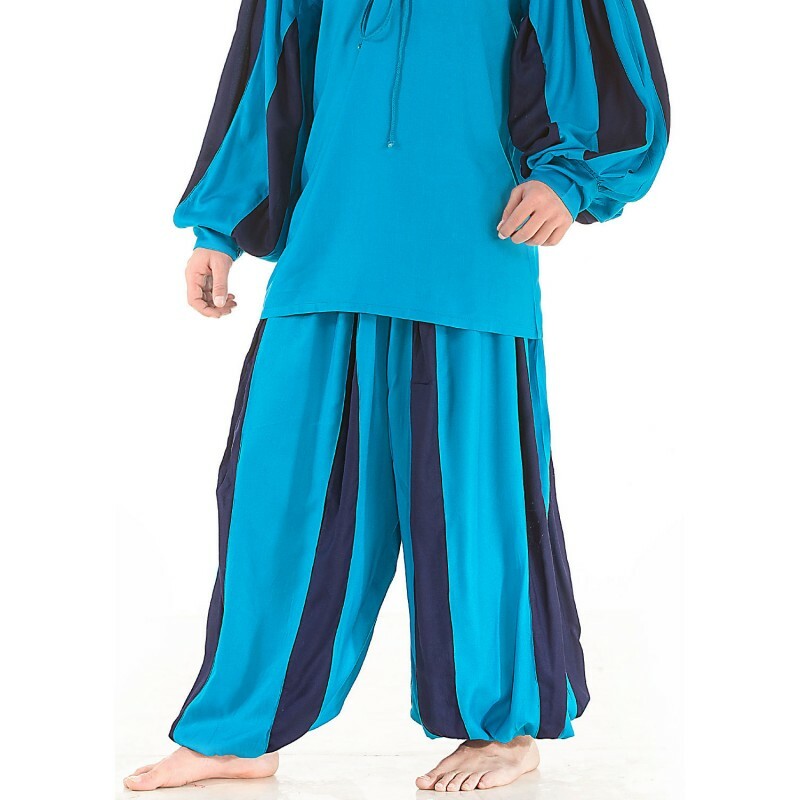 Designed to be worn un.. 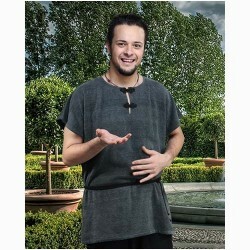 The Farmers Tunic is inspired with traditional early medieval period. 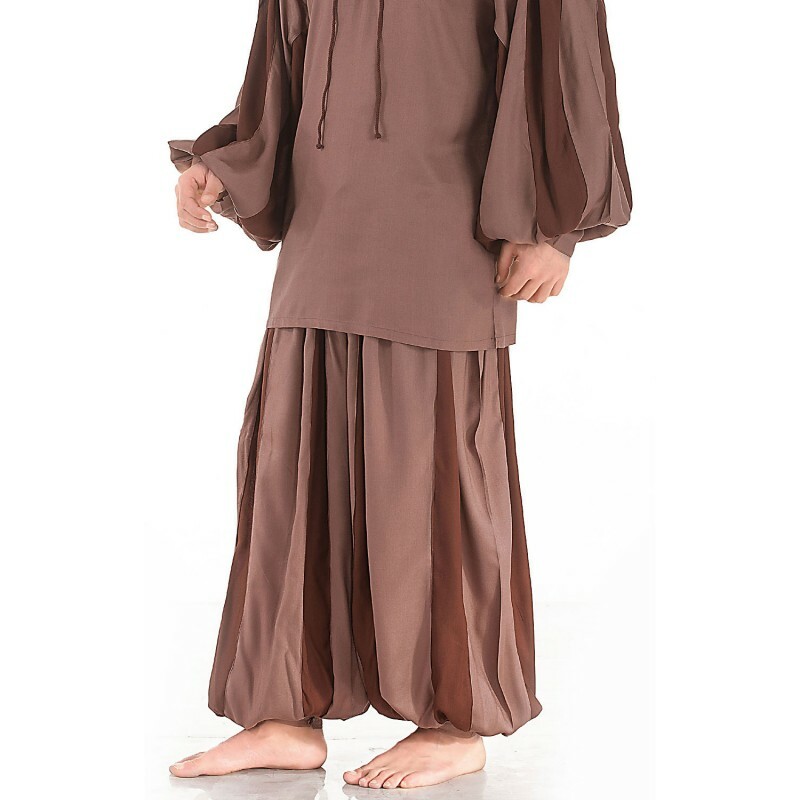 The rich & thick fabric is.. 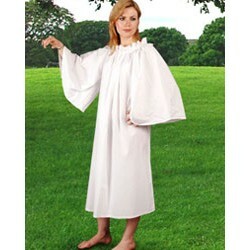 This blouse is made from thick & rich Viscose Rayon fabric. 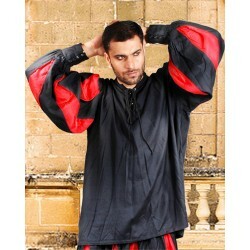 It has a full elasticized shoulder f..
European Medieval Shirt is made from high-quality Rayon fabric. 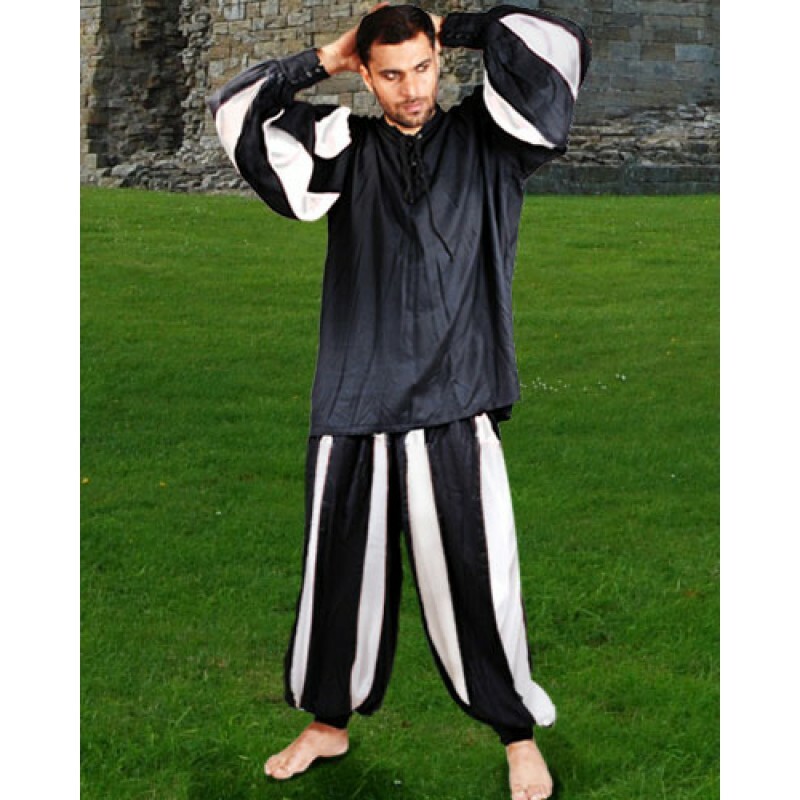 Buttoned cuffs & drawstring in f..